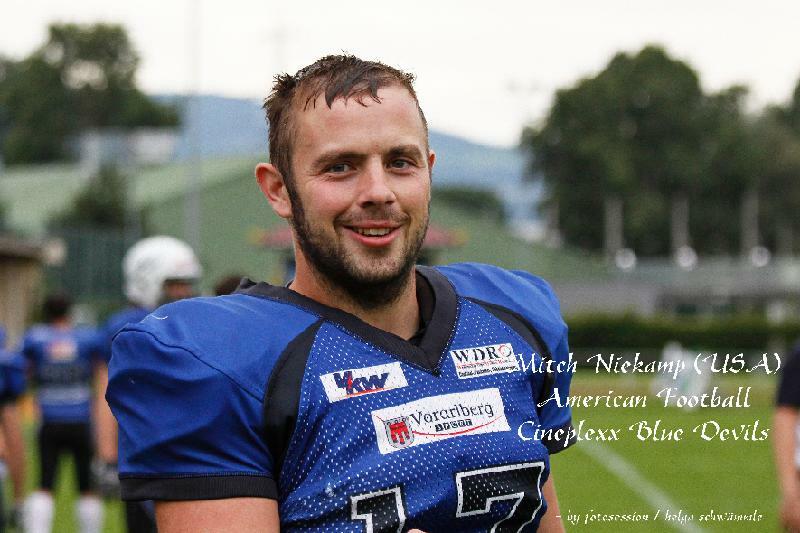 After 2 seasons with the Cineplexx Blue Devils [AFL2], QB Mitch Niekamp transfers to Osnabruck Tigers [GFL2]. "We are very pleased that Mitch will spend the 2013 season with the Tigers.," says Head Coach Jovi Stojceski. "He brings extensive experience, he's a real playmaker." During the two years with the Blue Devils, Mitch has lead the teams in three leagues - EFAF Cup, Austrian League and Swiss National League. Mitch is coming from Illinois College [NCAA-III] where he was the best "fit thrower" in the history of the Blue Boys.